VergesRome Architects designed a two-building suburban retail and dining destination, on the former site of a large sprawling automobile dealership. Completed in Summer, 2012, the new development offers national tenants Bonefish Grill, Panera Bread, and Pei Wei. VRA’s design created distinctive identities for each establishment while complying with their individual national brand identity and design criteria. 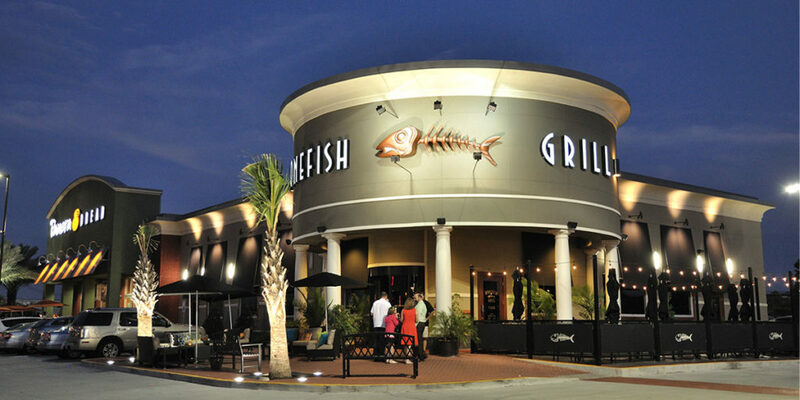 The visually appealing 9,000 SF building housing Bonefish Grill and Panera Bread is a combination of brick and stucco, with distinctive entries. Overhangs serving as light shelves project light through the spaces and allow the use of tall windows. The second building, with Pei Wei and retail space, is a 8,400 SF, predominantly brick structure that complements the other building while maintaining its own unique style through careful architectural detailing.